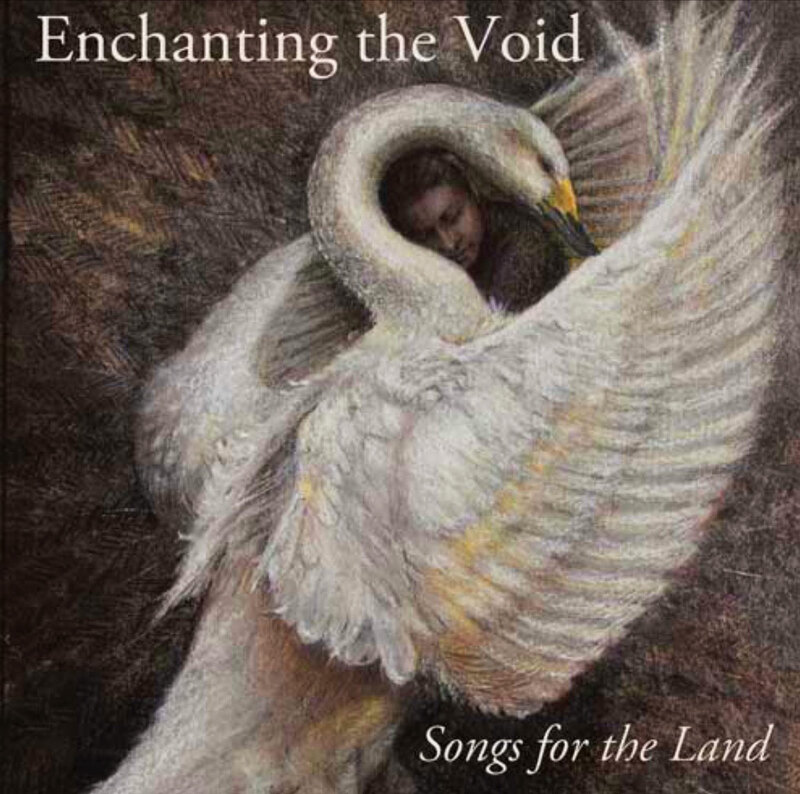 A double album and unique insight into the magic and beauty of Enchanting the Void and can be also be purchased at a live events. 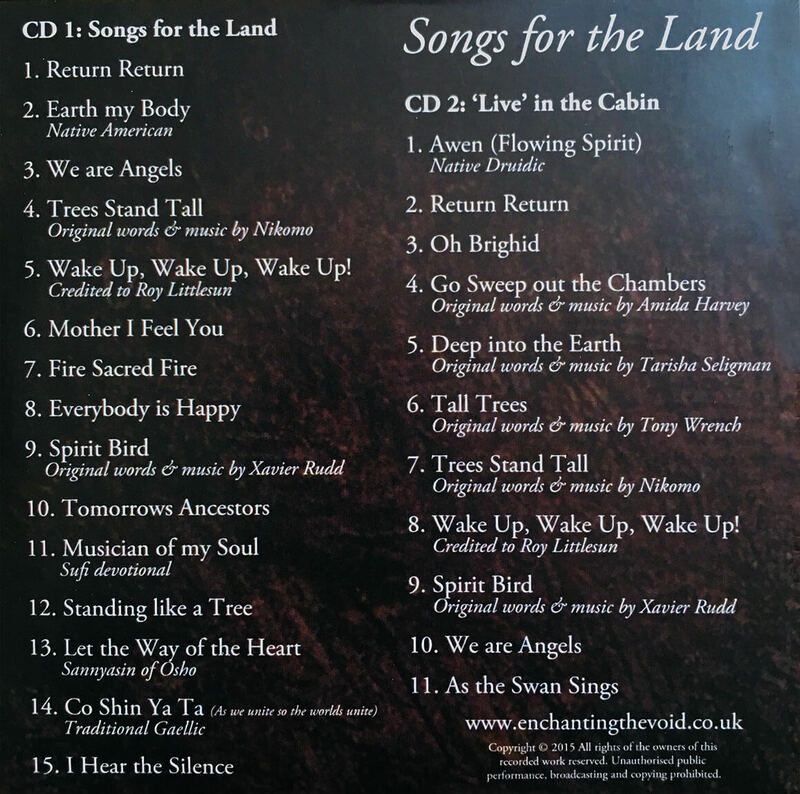 Enchanting the Void’s first album ‘Songs for the Land’, consisting of two CD’s. 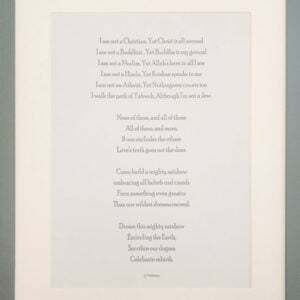 One is a ‘Live’ recording from a gathering in Stroud, Feb 2015 and the other is an amalgamation of chants recorded over the last year sung by JJ Middleway and Katie Howell, with Alisdair Shepherd on guitar. 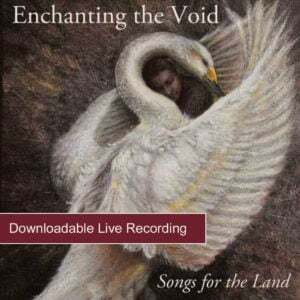 The double album is a unique insight into the magic and beauty of Enchanting the Void and can be also be purchased at a live events or purchased as a download.